New London Stair Climb Venue! Total Motion Events are pleased to announce our collaboration with ‘Young Entrepreneurs in Property’ (YEP) to bring you a brand new stair climb event in support of LandAid, the property industry charity working to end youth homelessness in the UK. 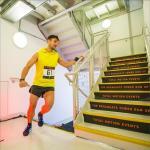 On April 11th 2019 runners will be taking on Chapter Spitalfields, London’s tallest purpose built student accommodation building – 33 floors, 599 steps, just a stone’s throw from the City. 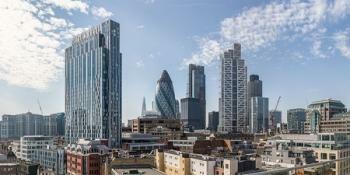 Race To The Top at Chapter Spitalfields will see participants climb from the ground floor up to the 33rd floor library and greeted with panoramic views across London’s landmarks including St Pauls, Tower Bridge, The Shard and Canary Wharf accompanied by a celebratory drink and medal. Participants can enter the event via YEP and commit to raising £100 for LandAid, or alternatively enter directly through Total Motion with no charitable commitment. If you’re looking for your first stair climb challenge, or if you are a regular climber looking to conquer a new tower, then don’t miss the opportunity to compete at a ‘new for 2019’ Total Motion event.